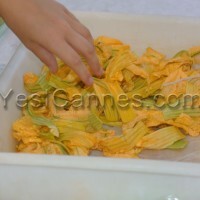 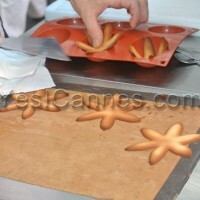 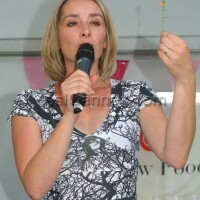 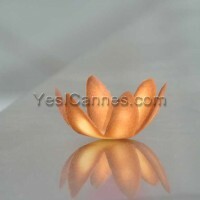 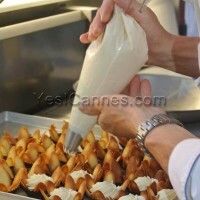 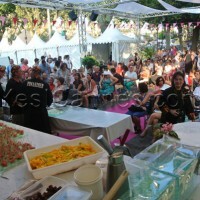 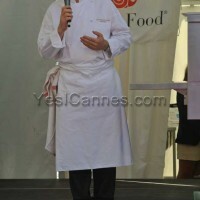 For the Fêtes Gourmandes, from July 19 to 21, prestigious chefs from major establishments of the French Riviera presented recipes they created on the theme “Flowers and Gastronomy” and gave the audience their tips and unveiled some of their secrets, teaching the public right techniques from cooking to plate presentation. 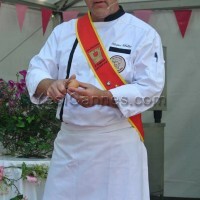 On the Saturday, the Fêtes Gourmandes menu was the Chef Eric Siroka (Eric Siroka Events) and his “Pomme d’Amour with Foie Gras and Floral Bouillon, edible flowers and steamed hazelnut lemon. 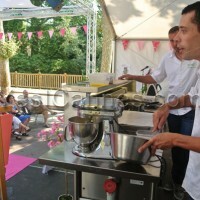 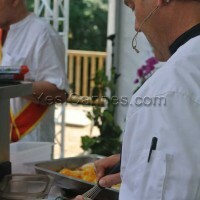 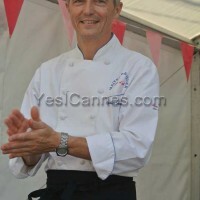 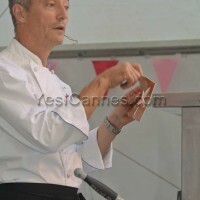 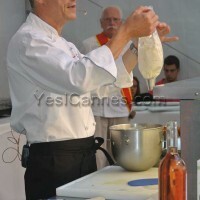 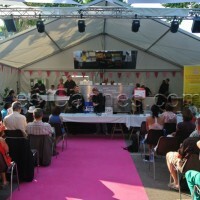 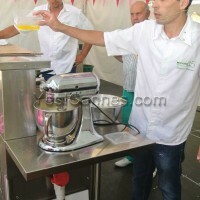 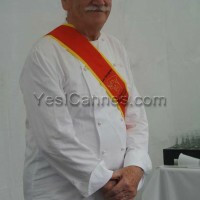 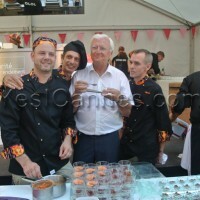 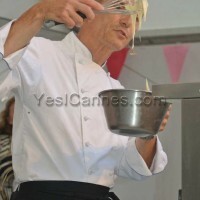 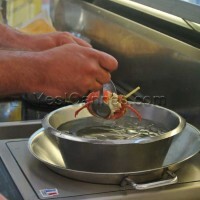 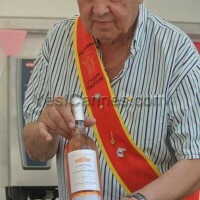 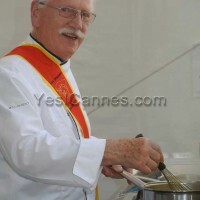 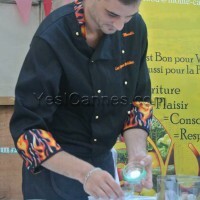 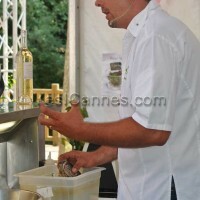 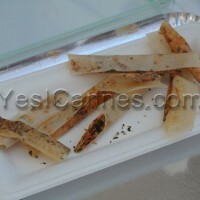 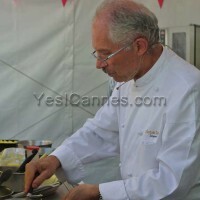 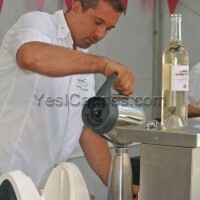 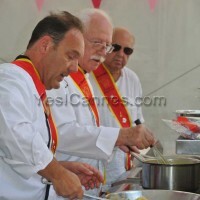 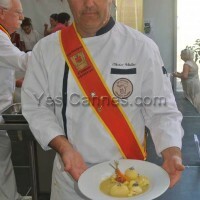 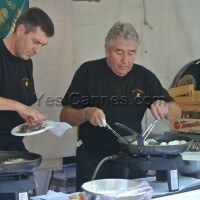 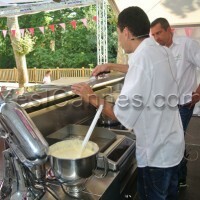 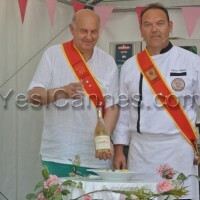 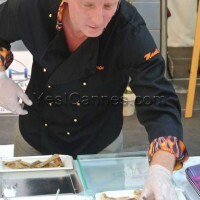 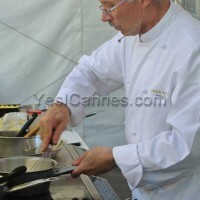 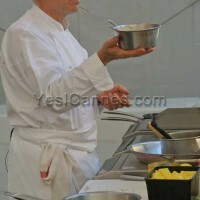 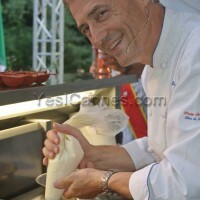 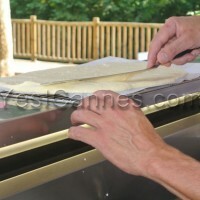 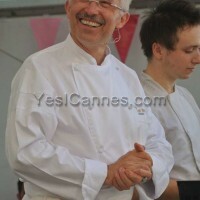 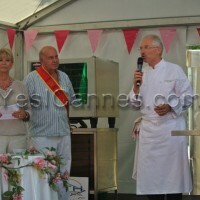 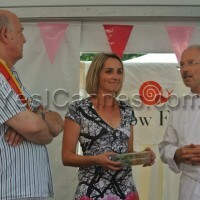 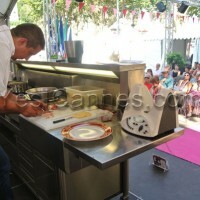 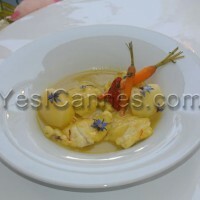 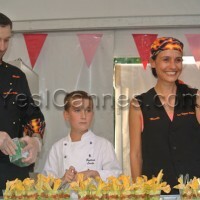 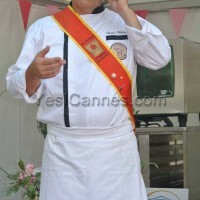 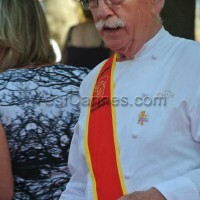 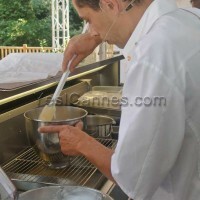 Jacques Chibois offered a demonstration of his recipe “Wonderful Big Roasted Squid on Fennel Puree with emulsion of Agastache and the Menton Lemon with Petals of Begonias.” The public followed every step of the development of the Provencal and tasty dish, noting his expert advices and “petits plus du chef”. 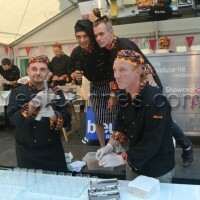 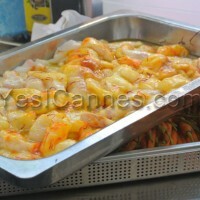 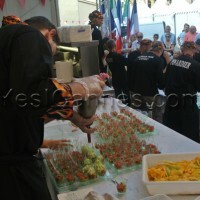 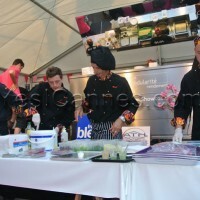 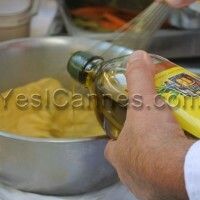 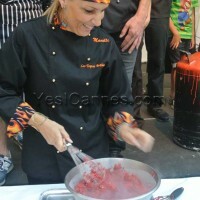 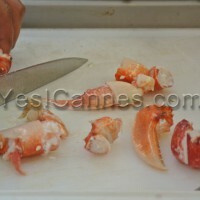 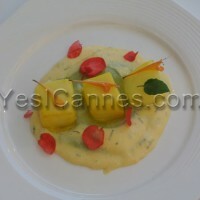 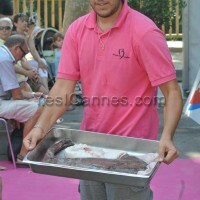 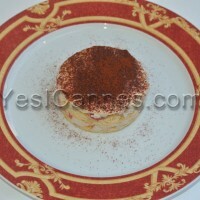 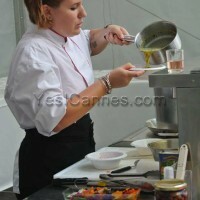 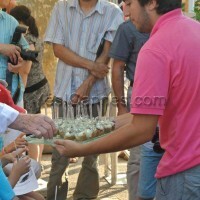 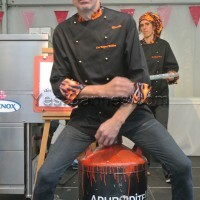 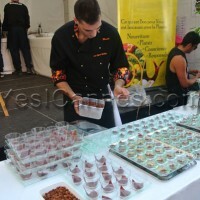 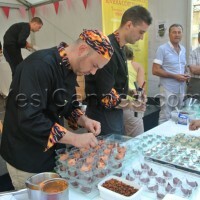 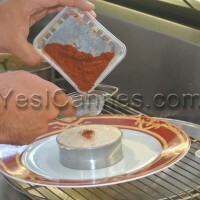 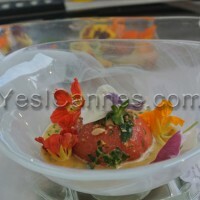 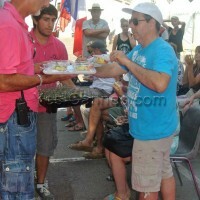 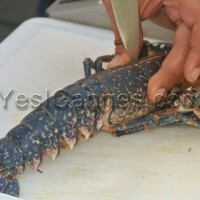 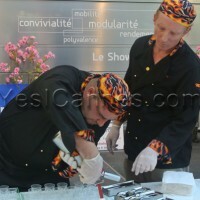 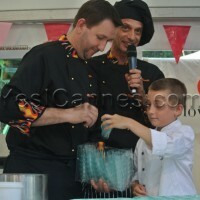 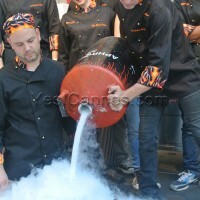 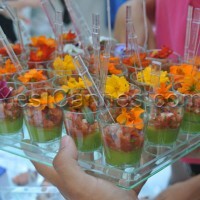 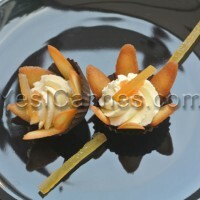 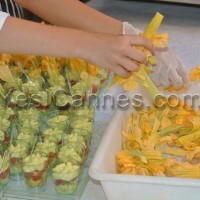 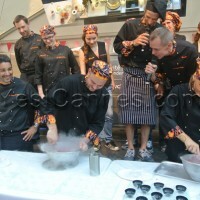 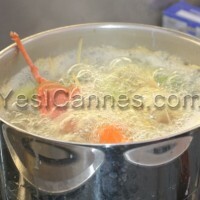 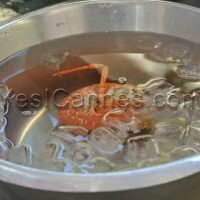 At the end of the demonstration, everyone was able to taste this dish, accompanied by a wine selected by the organizers. 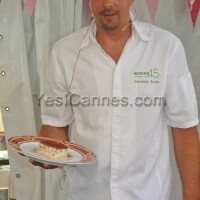 On the sweet side, to end the evening in style, Pastry Chef Christian Cottard from Antibes made the “Flower in Cigarette Paste and its White Chocolate Mousseux on an Infusion on Verbena.” A real treat for taste buds and eyes. 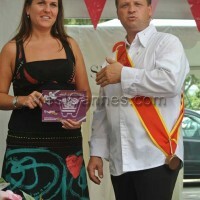 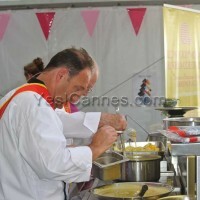 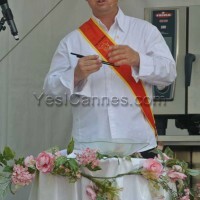 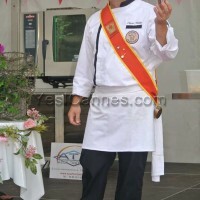 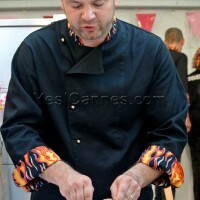 On Sunday, chef Olivier Muller from Novotel Cap 3000 occupied the Fêtes Gourmandes stage with his “Bourride of Monkfish Medallions with Pistils of Saffron, saffroned Fane Carrot and Potato”, accompanied by a Château Crémat 2010 white wine. 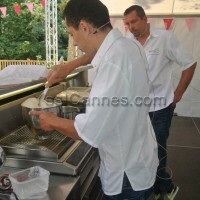 Then came the turn of the talented and young Sébastien Broda from the Park 45 in Mougins to elaborate its ” Lobster Tiramisu, Seaweed Confit and Purée of Yusu”. 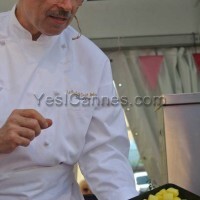 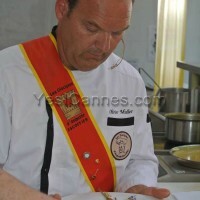 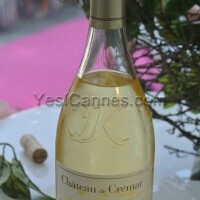 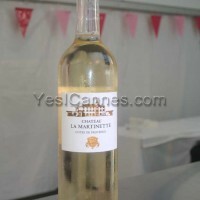 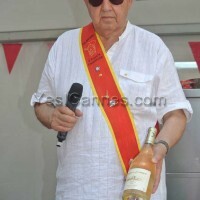 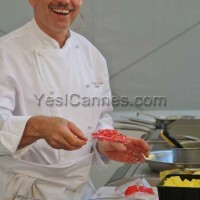 The choice of wines to accompany the dishes was entrusted to Jean Pierre Rous, Chef Sommelier and President of Slow Food Monaco Riviera Côte d’Azur. 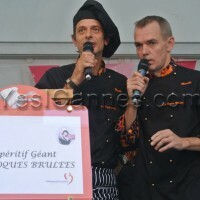 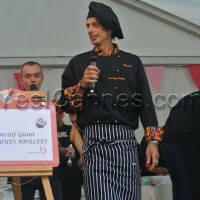 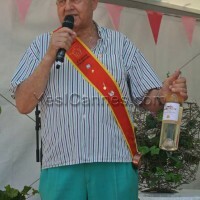 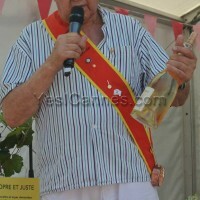 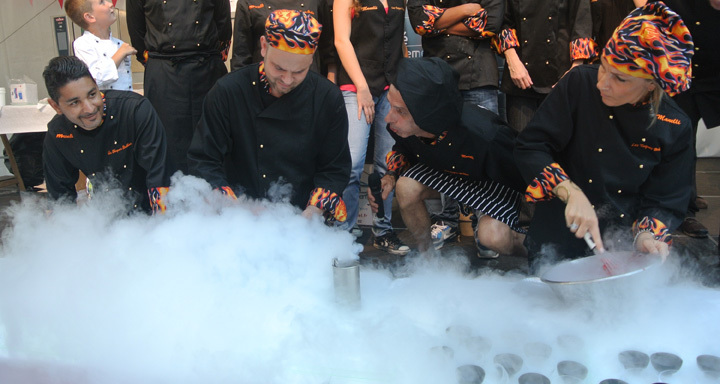 Then came the great closing show with Toques Brulées association and their giant aperitif, led by David Faure, owner of Restaurant Aphrodite in Nice. 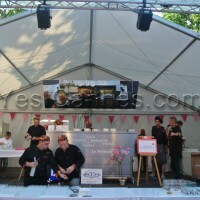 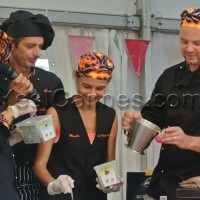 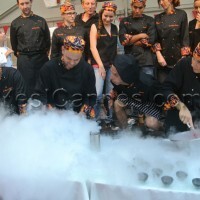 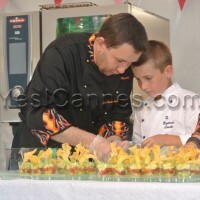 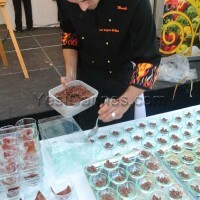 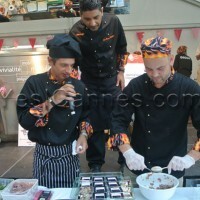 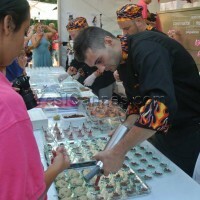 Through their multiple demonstrations and tastings, they offered to the public a whole range of varied and multicolored verrines, based on classical or modern products, in a warm and festive atmosphere.